This week we had the chance to do some real testing in race conditions. 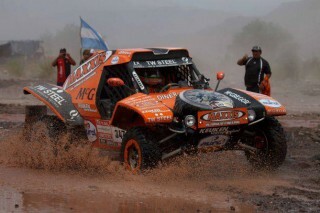 The Mcrae Buggy Rally Dakar was the opening car for the Superspecial at the 2011 Spanish Baja, driven by Leon Kaan. 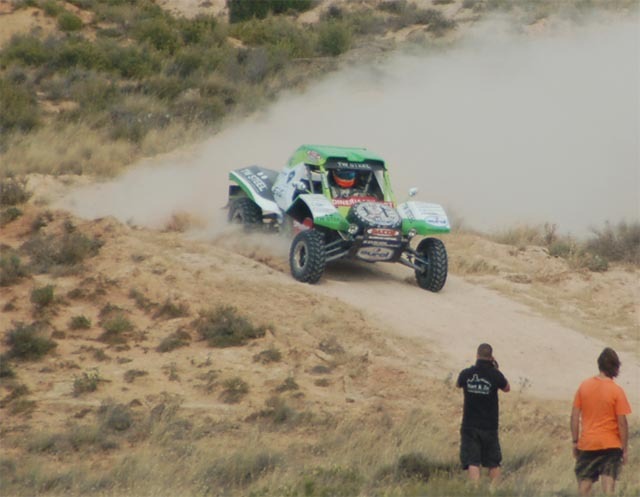 The buggy performed as expected and concluded the 6km special in 6m40s wich would have placed the car in 13th position had it been in the competition. At the moment the car is in prototype form. It is running with 1 out of the 3 battery tanks. Right now it has an outonomy of 100km. Over the next weeks the other two battery tanks will be introduced in to the car and it will be further tested. The car caused surprise as it was so silent, many people did not relalise it was coming untill it was righ in front of them.